Are you an Austin lawn owner with a thin lawn yard? Do you need help getting it fixed? Your best bet would be to go for a lawn mowing service in Austin with a good reputation to get it fixed. One major line of solution that could fix your thin lawn is over-seeding. With this action plan in place, it is highly possible for your lawn to improve drastically and look amazing again after some weeks. First, it is important to note that the aim here is to fix your thin lawn not replace it completely. This is what is involved in Over-seeding. It involves several processes carried out by a GoMow professional residential lawn mowing service to reinvigorate your lawn to look thick, lush and healthy again. Grasses, like all living things, can become worn out and old over time. When this happens, your lawn will look thin and weak. The best way out of this without having to spend a ton of money is to over-seed the lawn. 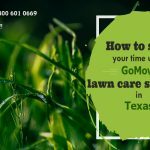 In this post, we have discussed the best tips to follow when you need to fix your thin lawn in Austin. The plan here is not to mow your lawn in a conventional way but to cut it very low, so there is full access to the soil. After mowing the grass, all grass clippings should be raked, bagged and removed from the yard. Your lawn soil needs to be adequately exposed to the next process where aeration is applied. Simply put, aeration refers to poking holes in your soil to increase the movement of growing seeds, air, and nutrients. This is very important because the plan is to increase permeability in the soil. We want your soil to be able to allow easy movement of oxygen (air), water, nutrients and the seed itself. Hardened, compacted soil makes this soil osmosis and diffusion difficult hence the need to aerate the soil. Remember, the objective is to increase absorption of nutrients in your lawn soil. Working on your soil is a major aspect of this lawn recovery method. If you have a small lawn yard, a garden fork or pitchfork can be used to aerate your soil manually. For large lawn yards, you will need a mechanized aerator to get the job done. 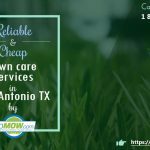 An Austin mowing service can handle this special service for you at an affordable rate. 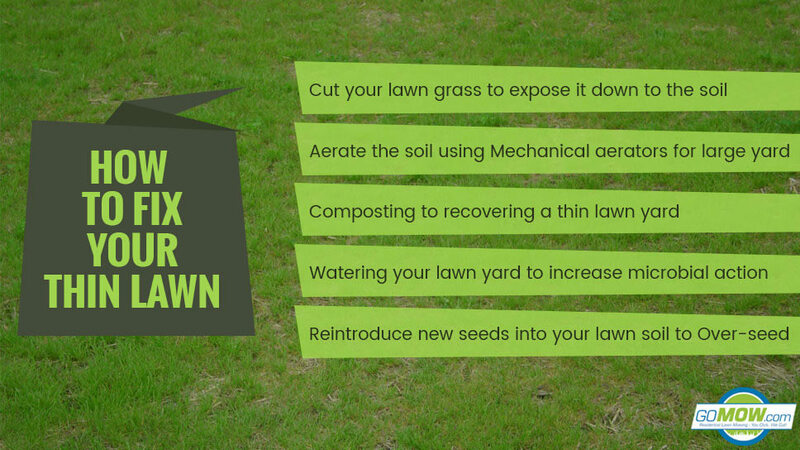 This is one of the most vital steps in the process of improving a thin Austin lawn. It might sound like a complex process, but it isn’t when you understand what is required. Compositing involves the use of completely organic, raw matter with a high concentration of soil-improving nutrients on your lawn yard. Good composts are made from a mixture of pure; natural-occurring matter especially ground grass, rich loamy soil, and other nitrogenous forms. 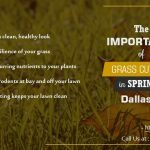 To be on the safe side when buying compost, you can also consult with a lawn maintenance service in Austin for professional advice. The compost should be dark, moist and have a fine feel when touched. It also shouldn’t form a ball when squeezed. To make use of compost on your thinly-growing lawn, you will need to spread it evenly on the surface of your freshly-cut, exposed and aerated lawn soil. The aim here is to ensure that the compost gets absorbed deeply into the soil as much as possible. After spreading the compost, watering should be considered next. It is expected that you allow your lawn yard to fallow with the compost on it for about 4-6 weeks with regular watering. After applying compost evenly on your lawn yard, the next action step to take is to water your lawn soil deeply, so it covers about an inch above it. Rich compost will experience faster microbial activity when there is a good deal of moisture available. This doesn’t mean you should flood the entire lawn yard. Simply apply enough water to your lawn to get it soaked up. Once a week will suffice if done correctly. After about 4 weeks of following, it is time to complete the over-seeding process by reintroducing new seeds into your lawn soil. These new seeds should be of the same specie as the previous to encourage uniformity. All things being equal, expect an amazing lawn yard is growing thickly and fully with green, healthy, and lush grasses in a few short weeks. Is your lawn grass looking thin and worn-out? Would you prefer a great looking lawn yard growing healthily? GoMow Austin could come to the rescue as soon as you are ready! Contact us today to get started and click below to get a quick free quote.